The Wolf has become central to life in ULSU but what does the wolf encompass? A number of months ago we asked all students a number of questions relating to C&S and life in the Union. This survey included questions like “what does C&S mean to you?” and “what does the Union mean to you?” Thanks to so many of your responses we were able to get a sense of the importance the Union has to all of you. It was from this we also fully understood what the Wolfpack means to you and what it represents for you. This was portrayed in your answers using words like ‘friendship’, ‘support’, ‘fun’ and ‘belonging’. This is the type of environment we feel throughout the Union building and we want every student to feel that way both in the Union and across campus. And so we wondered if there was some way we could bring that Wolfpack feeling to every student across the whole campus. Thanks to Paul Lee, wristbands were the chosen method and so here we are. 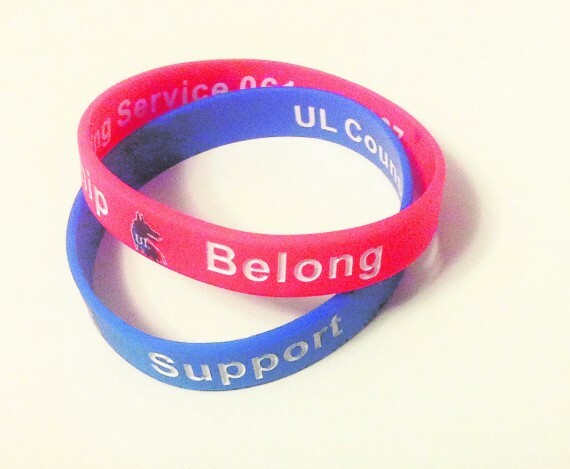 These wristbands aim to embody what the Union, C&S, and the Wolfpack mean to you while also raising money for the provision of mental health initiatives within UL. Student welfare is a major priority of the Union and so the funds raised through these bands will go directly back to UL students and their mental health. Year on year we come across a huge variety of students, all who have a story to tell and many who come to the Union for help, for support, and for friendship. We also come across many distressed students who want support from a friend or familiar face. We encourage all our students to support each other and now we have another way to support each other. The funds from these wristbands will go towards initiatives such as, but not limited to, suicide awareness and intervention trainings. We also hope that this fund will be available to support classmates in tragic situations such as student deaths. 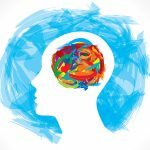 We welcome your input into what areas of student mental health you feel we should concentrate on so call into the Welfare Office or email suwelfare@ul.ie if you have any ideas or issues you think we should address. We believe that student-to-student support is essential and we feel that this project is one way to provide it. 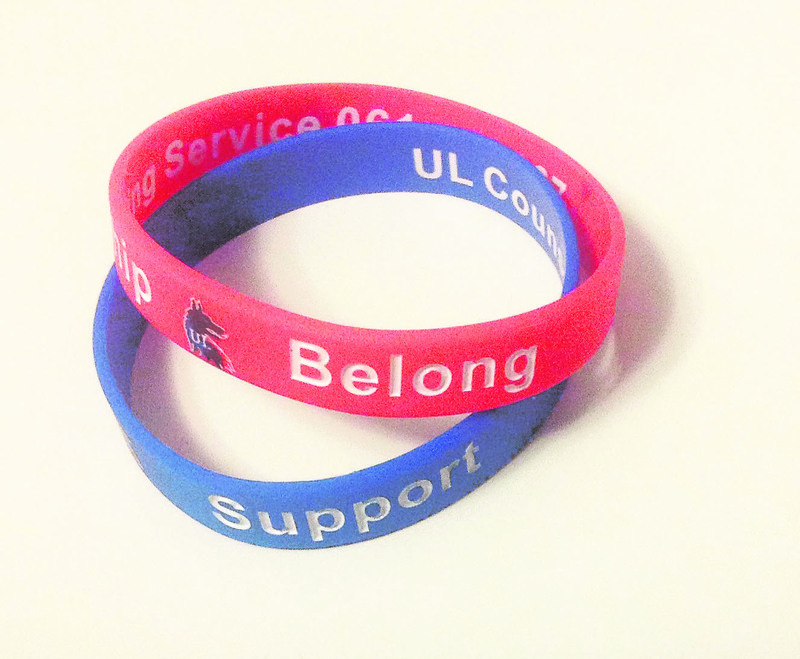 By having this wristband on you it’s available to you at any time, day or night, as a reminder of what the UL community has to offer you. It’s also a reminder that as a Wolfpack we’re there for each other, we look out for each other. While we have fun and friendship together, we also provide each other with a sense of belonging and a support network that is ever available. For times when things get tough the UL counselling centre is always willing to help. And so, to make the step to attend counselling somewhat easier we have provided you with their phone number on the inside of the band should you ever need it. 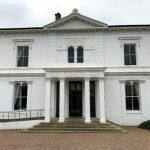 The Counselling Centre have drop in hours every day from 11am-12pm and 3pm-4pm in CM-071. You are guaranteed to be seen at the drop-in and a follow up appointment will be made as early as possible. The wristbands will be available from SU reception and the Welfare Office. There will also be a number of students who will have them in your classes, clubs and societies. The Union is not making any profit from these bands and they are donation based. So please donate €2 or what you can towards a worthy cause we can all relate to and utilise throughout our time in UL.